The traditional Christmas Rose is a short plant about one foot tall with mostly white flowers that nod down to the ground. 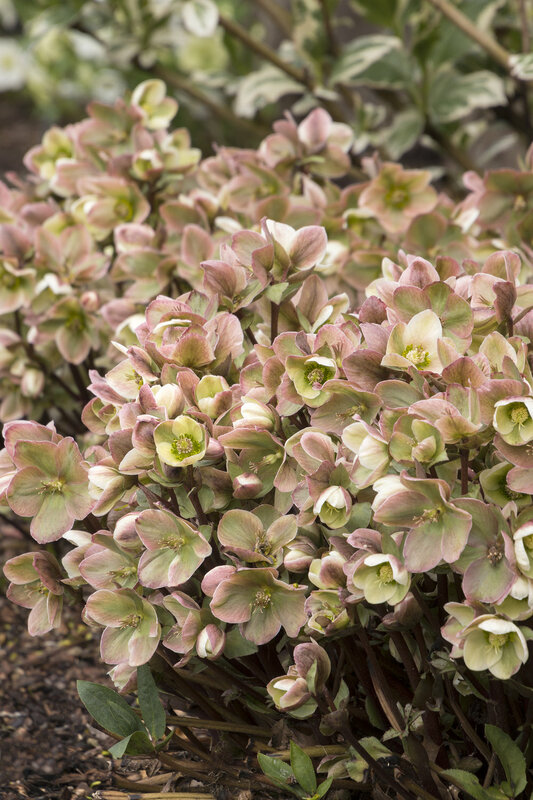 All hellebore flowers last for months but lose their color after several weeks and turn green for the rest of the time. You can always cut them off at that point if you don’t like them. In 2014, a new hybrid of the Christmas Rose was introduced called “Ivory Prince” which held its flowers upright and outward so you didn’t have to stand on you head to enjoy them. Since then there have been dozens of new introductions with bigger, more colorful (pinks to deep reds) flowers and foliage patterns that are mottled or variegated which add more visual interest to our winter gardens. The Oriental Hellebore (also known as Lenten Rose) blooms just after the Christmas Rose and is taller (about 18 to 24 inches) and comes in a much larger range of colors. There are multiple new strains that have been introduced in the last 10 years that will blow your socks off with colors ranging from yellows and apricots to dark smoky purple (almost black). Many have freckling on their petals and some are ruffled. More recently, double ones have come on the market that are to die for. 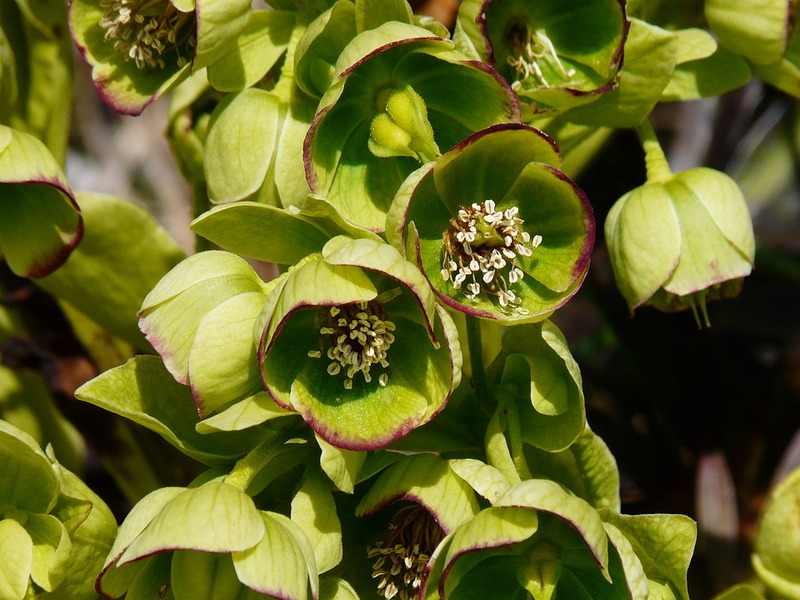 The Corsican Hellebore is a still larger variety that can get up to 3 to 4 feet tall and blooms in late March, again with the greenish flowers atop the 3 foot stems. I have one under my birch tree that performs like clockwork every year. It is also slightly more sun and drought tolerant than the above varieties. For an exotic variation, try one of the varieties with stunning mottled cream foliage. This time of year the new growth is spectacular. 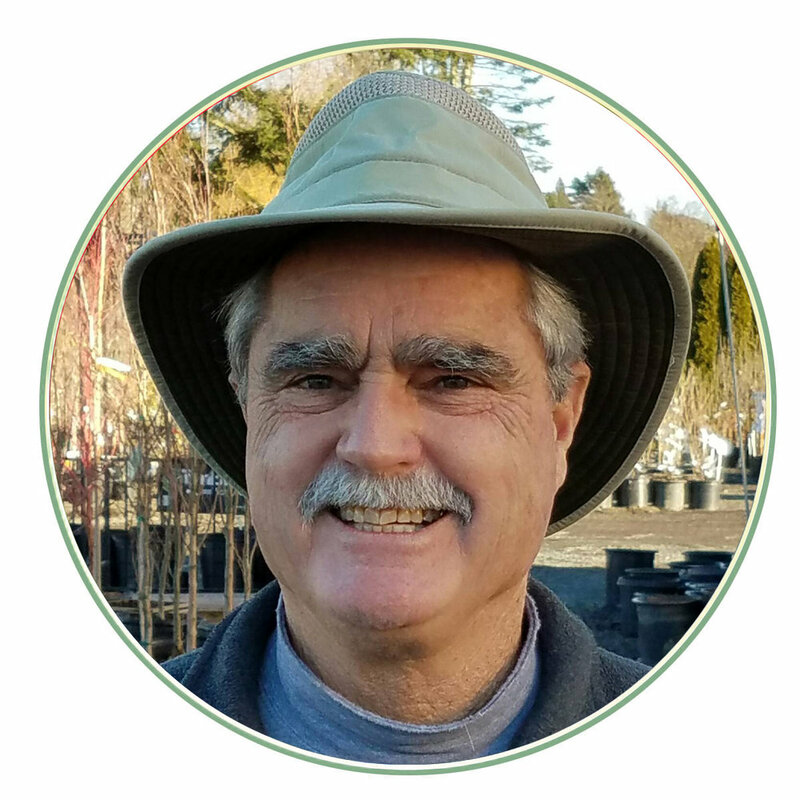 Older PostLearn How To Talk "Garden Center Speak"